The 24 Series brings another exotic wood combination to Cordoba’s ukulele line, offering a unique look and a brand new tone. Features include a solid cedar top paired with spalted maple back and sides. 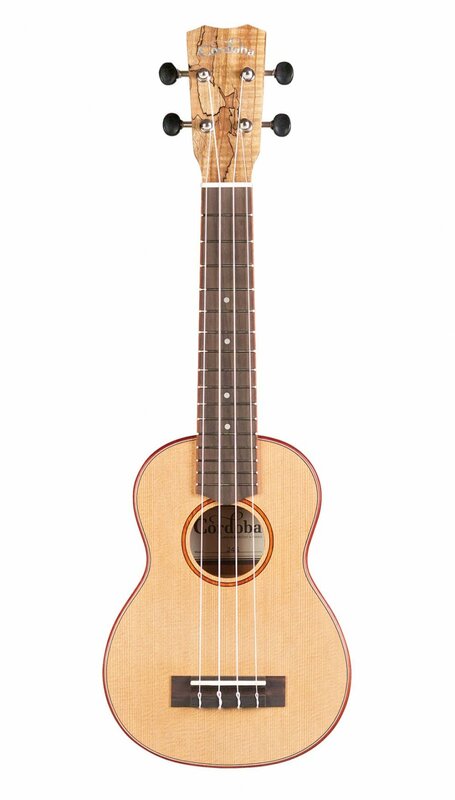 The outcome is a ukulele that really projects its voice, regardless of its size. Padauk binding, fingerboard binding, and rosette add a beautiful pop of red to the 24S’ striking appearance. Additional features include a rosewood bridge and fingerboard, mahogany neck, and spalted maple headstock veneer , bone nut & saddle and satin finish . Click here for a full list of tech specs! All Cordoba ukuleles come with Nylgut strings. Click here to hear a soundclip of the 24S! Copyright © 2007-2019 - King's Music Ltd.